Jack Ma, board chairman of the Chinese ecommerce giant Alibaba, reiterated the importance of Laiwang for the whole group in an internal email to all staff. The letter comes shortly afterwards Lu Zhaoxi, CEO of the company, announced an ALL IN strategy for wireless Internet sector, which takes Laiwang as a breakthrough point. Wireless Internet industry developed rapidly in a speed that should be measured by hours. Products with promising prospects should be executed thoroughly, because there is no time waste, said Ma at an internal event. He added that the company will “do anything with any price” to promote Laiwang. Jack Ma also proposed a plan that Alibaba employees who can not attract more than 100 external followers by the end of November will not get the year-end bonus. Currently, over 80% of my daily communication is conducted via Laiwang. I once considered it lacks distinctive features, but it has become an indispensable part of my life. My greatest joy is to perfect the service, since good products come with continuous improvements. Maybe the most prominent feature of Laiwng is the unyielding endeavors of Alibaba team to challenge current dominant services, like WeChat. Ten years ago, nobody would even believe that Taobao would beat eBay, the ecommerce juggernaut by then. 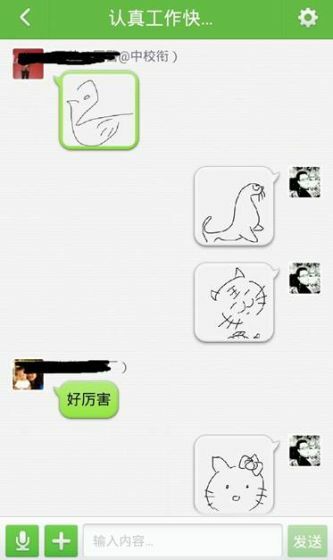 So why don’t we challenge WeChat now. Every member of Alibaba should join the battle and those who don’t join us should not stay in the company, because we are fighting for the survival of Alibaba team in the wireless era. We should not consider to get listed, if we cannot achieve success in wireless Internet sector. The user growth rate of Laiwang is round 140% since the release of 4.0 Version this September, according to Lu Zhaoxi, CEO of Alibaba. But there is still a long way to go, because the high growth rate is based on a small user base, he added. Laiwang upgraded the 4.1 version of Laiwang today for iOS, adding a doodling feature, which has been proved successful on Android platform. Laiwang is inviting celebrities to open accounts on the service. The MOM user growth rate of Laiwang reached 154.55% in recent months, according to third-party data (report in Chinese).